If they sold printers by the pound, this would be an amazing deal. More than half a meter wide and weighing two and a half stone, it takes paper up to A3 size. In fact, it goes a bit further , up to A3+ (483x329mm), and a rear slot accommodates sheets up to 256gsm (grams per square meter), which means thick card. It can print both sides (duplex), and comes with not one but two 250-sheet paper trays, so you can keep both plain and photo paper ready. 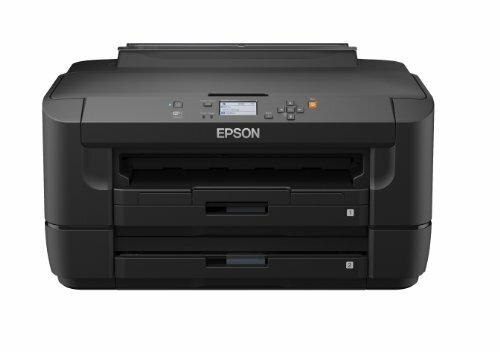 Many basic office printers omit Wi-Fi, but the WF-7110DTW has that too, replete with Apple AirPrint, while Epson also offers plenty of options to Android users. 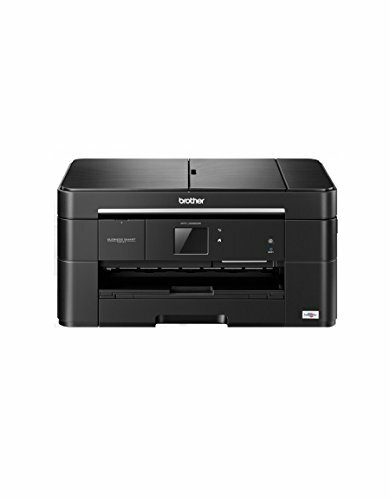 Wi-Fi Direct support means you can connect straight to the printer if you don’t have a Wi-Fi network. USB and Ethernet ports are provided if you prefer to cable the printer to your PC or router. A few frills are absent: there’s no SD card slot or USB input to print straight from flash memory cards, and you have to use an old-fashioned LCD panel rather than a big touchscreen. But you can also control the printer through Epson’s website, and we had no problems setting everything up. This isn’t sold as a photo printer , but our photos came out very well on semi-gloss paper, right up to A3 (which printed in around one minute). Standard black text was also quick, matching Epson ’s claim of 18 pages per minute (ppm), but it was grainy, so this should only be used when quality isn’t essential. At high quality, the speed fell to a slightly disappointing 5ppm. Color documents came out at nearly 12ppm, but again we had to use the high-quality mode for decent results, which slowed it down to below 3ppm. So this WorkForce is no workhorse, but with ink costs at a reasonable 1.3p per page for black, and 6.2p for colour (with Epson ’s XL cartridges), it really is excellent value for an A3 color printer. All the more so with its onsite warranty, meaning an engineer will visit if anything goes wrong, which you can currently extend to three years at no extra cost.